Hereford Lads Club is a registered charity (Charity No. 520956), founded in 1925 & based in the City of Hereford, England. 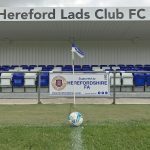 Hereford Lads Club offers boys and girls football coaching & development from Under 6 to Under 18 and fields Mens teams in Herefordshire & West Midlands Football Leagues. Youth teams play in the Herefordshire Junior and Herefordshire Girls leagues and all teams play their home matches at Widemarsh Common in Hereford. The Hereford Lads Club – Girls Team from Rural Media on Vimeo. The Hereford Lads Club was founded in 1925 for under privileged boys by Mr J. Mackay. He envisaged that the club would provide young boys with the means to become men through sport. In truth it provided much more, with gentlemanly conduct and good sportsmanship being two of the important qualities being taught to the young men of Hereford Lads Club. Today, The Hereford Lads Club is still a fantastic example of community spirit brought together through sport. Film is a great way to put your point across and advertise events, it will help raise awareness of the club. Jason Watkins – U8’s Coach. This film was created through Shoot Out (shootout.org.uk), the Rural Media Company’s ‘Big Lottery’ funded filmmaking project for young filmmakers in Herefordshire. Young Filmmakers: Zak Powell-Tate, Mez Powell-Tate & Albert Sokol. The Club originally catered for Gymnastics and Boxing, but later developed a cricket team and junior football teams. However in mid January 1940 Hereford Lads Club was destroyed by fire and sadly all early records were lost. Thankfully the club was rebuilt on its present site overlooking Widemarsh Common after the land was generously donated by Mr. W. R. Bufton together with donations from many local businessmen. In the 1960’s and 1970’s Hereford Lads Club blossomed and was attended by up to and in excess of 170 young people per night, creating a great community spirit. Stewart Phillips (born 30 December 1961 in Halifax) spent most of his career at Hereford United. He has scored more goals for Hereford in the Football League than any other player in the club’s history. He was a YTS trainee at Hereford and made his debut for the first team aged 16 years and 112 days, making him the youngest player ever to appear for Hereford United; indeed he was required to take a day off school so that he could play. He enjoyed a long and successful career at Edgar Street, scoring 124 goals in 401 competitive appearances. He was the club’s top goal scorer four seasons in succession, between 1981-82 and 1984-85.